After his highly successful release, Success in Retrograde, which was downloaded by nearly 170,000 people on FrostClick/FrostWire alone, John Graham is at it again. This time he decided to go an extra mile and release his most intriguing work to date. Magic: Blanc et Noir brings you 14 content heavy tracks with lyrics and energy that will get you hooked in no time. To make things even better John added few surprises, so now in addition to some great sounds you can expect a digital booklet with linear notes, lyrics, and more than unique artwork. There is also a special link to view a full length documentary which serves as a visual memoire for the album. And if you didnt know who John Graham was prior to this release, you will certainly get to know him after watching the video (can not wait to see it – click here to watch it right now). 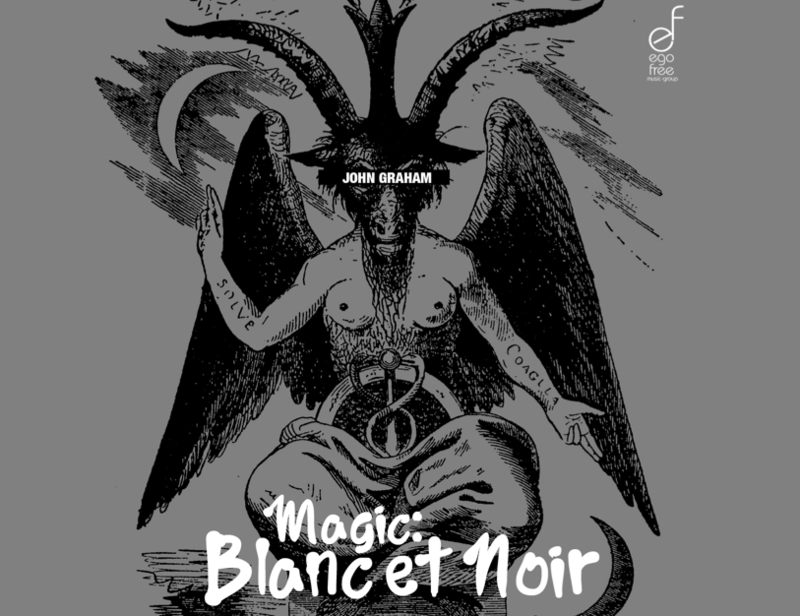 Magic: Blanc et Noir begins with woman’s vice (a narrator of sorts) giving, what sounds like, an introduction to the EP. The contradicting forces, which are at the heart of human nature, are as it seems highly present throughout the tracks. From politics of oppression, religion, peer pressure, making ends meet, and the results for the choices that we make – turn this album into our daily life and ask us to go deeper to try to find an inspiration to act, make a change. And when you connect the thought provoking lyrics with professionally mastered beats and some soulful vocal samples, you know that this is one album that is definitely worth a download. So go ahead and enjoy the music that takes you beyond what you thought you knew, beyond what most of the hip-hop we hear on the radio today stands for. The album is available to you under a Creative Commons Attribution-NoDerivs 3.0 Unported License, which means that although you can not alter or transform the work in any way, you are more than welcome to copy and share the music with your friends and family as well as use it for your own personal or commercial projects. Share away! You’re more than what you acquire cause all the things that you got wont answer one simple question are you ready or not?